Pancakes or crepes are often served with a a scattering of sugar and a squeeze of lemon juice. 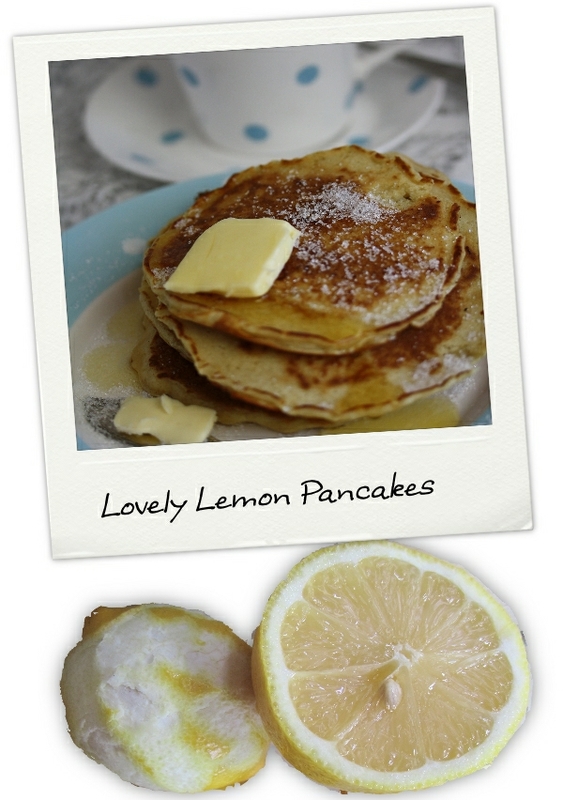 I decided to put the lemon into my pancakes while making them and the results were wonderful and just so easy to make. So here are my lovely lemon pancakes. Sift the flour, cream of tartar and bicarbonate of soda into a bowl and stir in the sugar and grated lemon zest. Add the egg and milk slowly whisking all the time. You want to have a completely smooth batter. Heat a girdle (if you are Scottish and happen to have such a thing to hand) or just a normal heavy based frying pan for at least 3-4 minutes so it is really hot. Brush with a little of the melted butter and then drop in a large tablespoon of the batter per pancake. I usually make 2 at a time in my pan. They will start to bubble on top after about a minute and a half. Now is the time to flip them over either by the conventional use of a spatula, or by showing off and tossing them in the pan. The latter is good fun and impresses the kids, but only if it works! Let them cook on the other side for about another minute or so. Serve with a sprinkling of sugar and a knob of butter melting all over them. Of sourse you can add maple syrup or anything you like at this point, but I just love the tanginess of these pancakes served as simply as possible with a good cup of tea.